This is a SCSI interface by Dove Computer Corporation and attaches to the logic board of a Macintosh 512K. 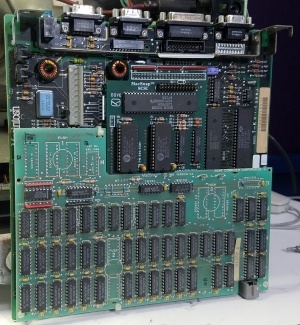 The original kit should have included a ribbon cable which runs to a 25-pin external port. Can also be used with the MacSnap memory upgrade board.